Image, small image of meter, mouse over to get a big image of the front, click for review. DMM name, brand and model name, mouse over to get a summary of ranges and functions, click for review. Display, maximum reading or one above on the display in volt, ohm and current modes, other modes may have a larger reading. 1999 maximum will be specified as 2000, because there are 2000 values from 0 to 1999 with both included. uA, ranges for micro amperes, a range below 10mA is counted as a uA range (Most DMM classify them as such). A, meter can show amperes. Usual a 10A range, and sometimes a range for a few A. Temperature, meter can show temperature, this will often be with a type K thermocoupler. 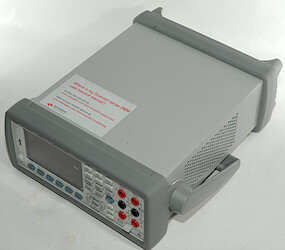 Frequency, meter can show frequency, this will often mean it also supports duty cycle. 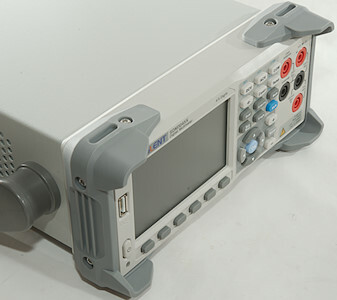 True RMS, meter can show true RMS, this is very useful when measuring current on mains. Average, meter can show an average value, usual this is combined with min/max function. Led test, meter can test white leds and show the forward voltage. This means it can show 3V in diode test mode. The yellow marks means it will light the led, but not show any voltage. 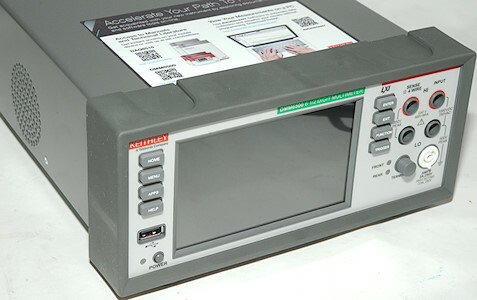 Dual display, meter can show two values at a time, this can be min/max and actual value or AC and DC voltage. 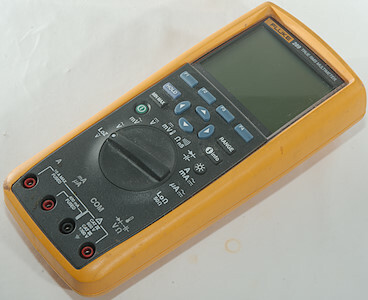 The yellow mark is used if it is only frequency or meter temperature. Interface, what type of communication with computers/phones is supported. Safety, a very rought evaluation of safety. No safety, there is no fuses, missing PTC. This is only for low voltage and low current usage. Glass or small fuse, a PTC. This can be used on mains voltage occasionally as long as there is a good fuse (Below 16A) before. Ceramic fuses rated for marked voltage, PTC's and MOV or GDT, input are rated for at least 250VAC on ohm/capacity ranges. These meters will usual be fine for mains voltage, but may not be good enough for measuring on high current circuits (i.e. Industrial/distribution). For high energy usage (Industrial/distribution), be sure to check the CAT rating and verify it is valid. Notes, this is notes about special functions in the meter or if it is extra good in some area. Type, this is a rough size and type categorization. Pen shaped meter with one build-in probe and one probe lead. 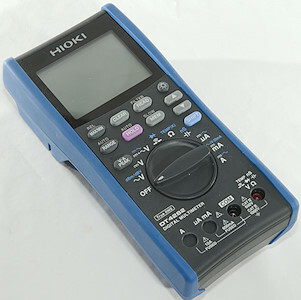 Meter is a pocket meter, this means it is small and include a way to store the probes. 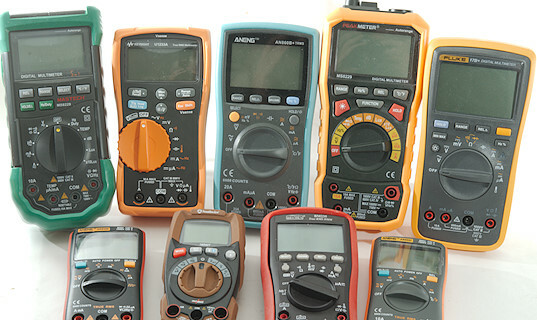 Meter is clamp meter, i.e. designed clamp around the wire to measure current. Price, it is the price without VAT or shipping at the time when I get the meter, this may be from EBAY, but can also be from other dealers. Year, the year I published the review, this may be several years after the meter was introduced on the market.